For me pumpkin pie has always fallen to the bottom of the list of things I desire. 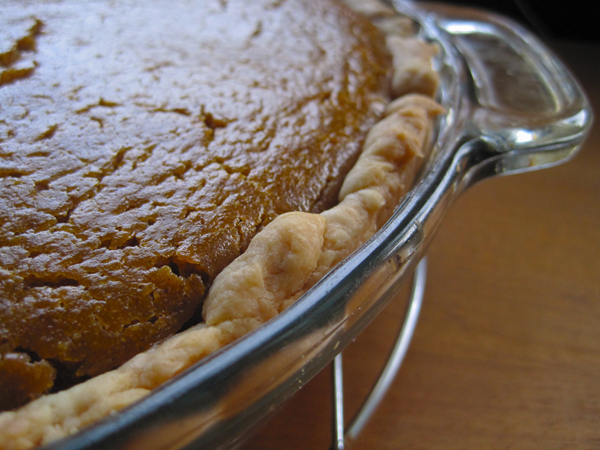 It’s kind of mushy and bland, as though the pumpkin has gone straight from a can and into the pie crust. It’s always something I skip over at holidays because there is ultimately a showier dessert that grabs my attention. But when I saw pie pumpkins were part of our recent weekly produce delivery I didn’t swap mine out for a head of broccoli as I normally would. Instead I thought, “Maybe a real pumpkin pie will change my mind.” And it did. I suddenly came to understand how pumpkin pie became a holiday staple in the first place. This pie is smooth and light, like a silk pie. It’s not dense or dominated by any particular flavor. The cream, the pumpkin and the spice play perfectly to make it a gourmet holiday treat. 2 Mix dry ingredients in a large bowl. 3. Beat the eggs together and then add to the dry ingredients. Stir in the pumpkin purée. Finally, stir in cream. Whisk rapidly until well incorporated. 4. Pour into pie shell (recipe below) and bake at 425°F for 15 minutes. After 15 minutes reduce the temperature to 350°F, baking 40-50 additional minutes, or until a toothpick inserted in the center comes out clean. 5. Cool on a wire rack for 2 hours. Your pies sound fantastic! So does having a bunch of pumpkin puree on hand. We’ve been using it a lot in soups and pasta sauces. Can’t go wrong with pumpkin! 3) add warm filling to partially-baked crust to guarantee crisp crust and creamy filling. 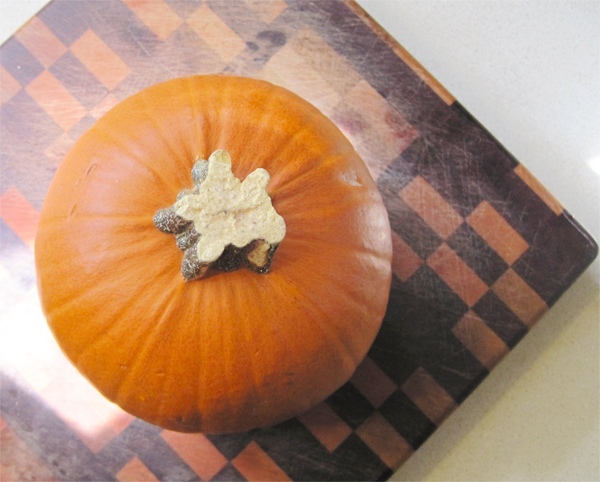 I have had to “make” my own pumpkin puree for years, since canned pumpkin is not available in Germany. Even the leftovers of your jack o’lantern will do! America’s Test Kitchen is the real deal. I will have to try those suggestions next time. My friend from Ireland has the same “problem” with the absence of canned pumpkin. I think things are a little too convenient in America most of the time. I might just have to give this another go. Like you, I never really liked pumpkin pie (pumpkin cake and other stuff I love! ), but I keep going back to it as my dessert of choice for this weekend. I’ll just have to see if I actually have two cups of puree in my freezer. Probably not. Maybe tartlets then? Unfortunately, all the fresh pumpkins disappear here at about noon on Halloween. For serious. May your Thanksgiving feast work out wonderfully! Here’s hoping we can have a Thanksgiving/Friendsgiving feast together next year.